What Solar Energy Grant Options are Available for Schools? Are There Grants Available for Schools? 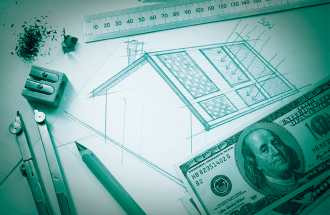 The upfront cost of installing solar power depends largely on the size of the system, as well as any additional costs including construction or renovations that are needed. 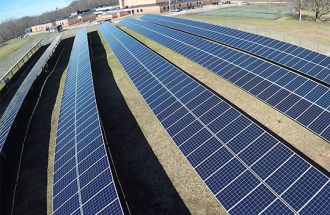 Since there are so many clear benefits from energy efficient programs like solar power, Performance Services can suggest solar financing options to help schools figure out a payment plan that will fit into their budget. Many schools are able to supplement their funding with grants and incentives offered by local and state governments. Some may offer dollar-for-dollar matching options, while others offer rebates or discount incentives for improving energy efficiency through solar power systems. There are a variety of options for grants and funding that can vary widely from state-to-state. Be sure to check with your local ordinances to see what financial options your school facility is eligible for. What Kinds of Grants Are Actually Being Offered? Receiving a grant from an association or the government can alleviate some of the upfront costs for going solar, and thankfully, there are many available specifically for schools within the United States. Several states have their own grants provided by local governments and power companies for schools that want to go solar. In Texas, Hawaii, and Illinois, some power companies and organizations provide funding to school solar projects. AlabamaSAVES offers schools a zero-interest loan for energy efficiency investment programs in schools and other public facilities. There are also several organizations throughout the US committed to helping schools transition over to clean solar energy. 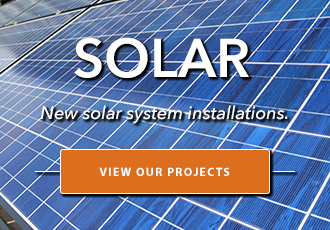 The American Solar Energy Society is a non-profit organization that sponsors over one hundred schools currently to fund their decision to install solar panels. National Energy Education Development Project (NEED) also partners with schools to provide educational programs to the children and teachers for a more sustainable organization. Performance Services is a NEED Partner and works with solar customers to provide curriculum programs. The Walmart Foundation has also supported several school’s investments in solar energy around the nation through sponsorships. On the national level, the US Department of Energy provides several grant programs and funding opportunities for specific entities that pursue clean energy, including schools. The DOE’s Loan Programs Office will work with schools that want to pursue solar energy and other clean power sources to find funding opportunities through loans and grants with various programs. The federal government provides a tax credit to facilities that build solar power systems, which allows schools to deduct 30% of the system’s cost from their federal taxes. The National Renewable Energy Laboratory (NREL) provides various funding options for K-12 schools to help each organization design a finical blueprint and take advantage of various tax credits and other incentives. State by State Breakdown (Not all states have specific grants for schools) Check out this list for all available grants, incentives, etc. for each state. The benefits of bringing solar power to schools are clear, but the process can be expensive, especially if structural repairs are needed for installation. However, with significant future savings along with the numerous funding options available, the upfront cost of solar power should not hold schools back from pursuing cleaner energy sources. Have More Questions? 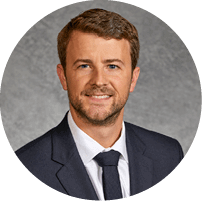 Contact Brian Ondyak, P.E., CEM, LEED AP, our National Solar Director for more information about solar funding options. Solar power has long been touted for its environmental impact, but with the latest advancements in technology and quicker return on investment, solar energy may now be the best way for schools to shine. Michigan City Area Schools converted to solar energy and installed LED lighting at 7 school buildings. What Are Solar Financing Options for Schools and Municipalities? 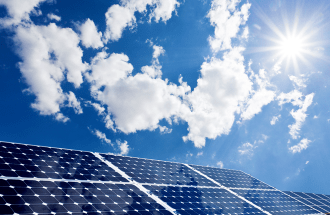 Solar PV systems can reduce electric utility costs for decades. Thankfully, there are a number of financing options for owners.